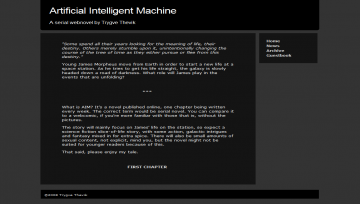 Artificial Intelligent Machine by Trygve Thevik is a sci-fi novel updated no longer updated. Artificial Intelligent Machine has not been reviewed yet. Artificial Intelligent Machine has not been recommended yet.